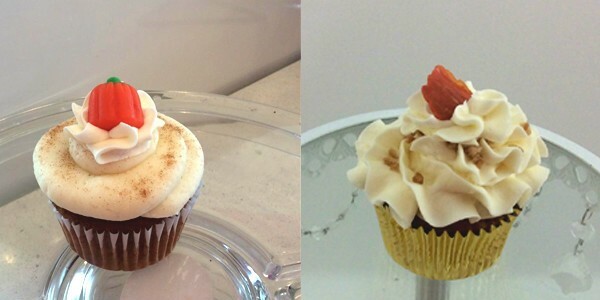 Whippy Dip is our signature icing! Perfect for all occasions with over 20 varieties in the shop daily. 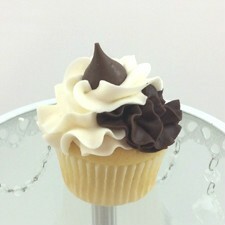 Classic Vanilla or Chocolate Cupcake. 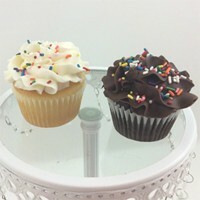 Comes in both icings (Wippy Dip Classic & Chocolate) and with or without sprinkles! 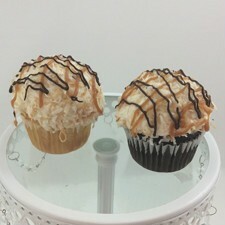 Isnpired by the Girl Scout cookie of the same name our samoa cupcakes are a delicious belnd of chocolate, caramel and coconut with our signature wippy dip icing and either a chocolate or vanilla cupcake! Mudslide Cupcakes! Chocolate Mousse filled chocolate cake with velvety smooth Belgian chocolate icing, crushed chocolate cookie and ganache drizzle! Moo Moo cupcakes! Chocolate cake filled with our award winning Whippy Dip icing topped with our creamy Belgian chocolate icing then a dollop of Whippy Dip on top! Moo Moo cupcakes! Chocolate or yellow butter vanilla cake filled with our award winning Whippy Dip icing topped with our creamy Belgian chocolate icing then a dollop of Whippy Dip on top! Come try our candy bar inspired cupcakes (from left) Snickers, Reesees and KitKat! 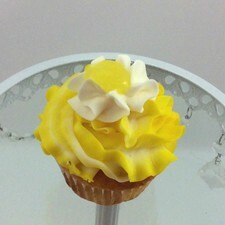 Lemon cupcake with a delicious lemon filming and lemon butter cream! 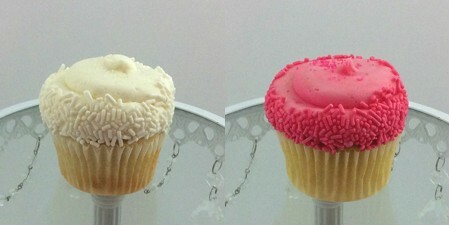 Pink Ladies, yellow butter cake with Whippy Dip Icing rimmed in Pink sprinkles and White Silk, white cake rimmed with white sprinkles and a splash of white sugar! 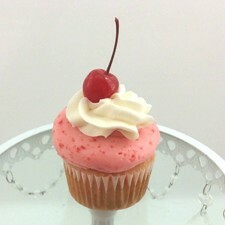 Cherry Chip Cupcakes! Old fashioned homemade cherry chip cake just like your Grandmother made with bits of cherry in the cake and the icing! Raspberry Swirl Cupcakes! 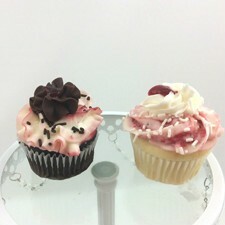 White or Chocolate cake filled with raspberry and topped with raspberry swirled Whippy Dip! Boston Cream Cupcakes!! 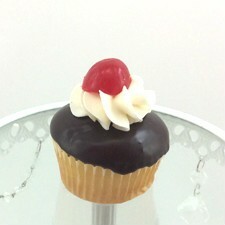 Buttery yellow cake filled with homemade Boston Cream filling topped with a chocolate ganache and a dollup of filling! 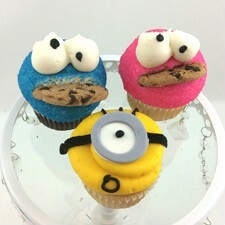 Minion and Monster Cupcakes! for your little monster The children love these!! 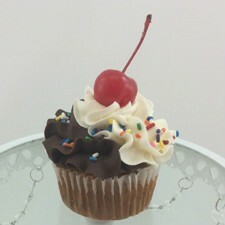 Banana Split cupcake! Banana cake filled with strawberry filling, iced with our choclate and wippy dip icing and topped with rainbow jimmies and a cherry! 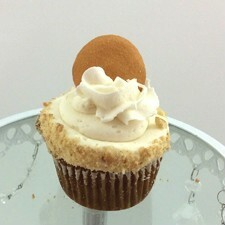 Banana Cupcake with wippy dip icing, rolled in vanilla wafer crumbles and topped with a full wafer cookie. 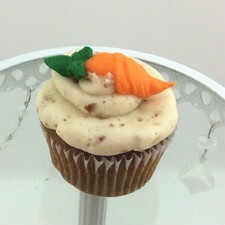 Carrot cake topped with delicious pecan cream cheese icing and a piped carrot on top! 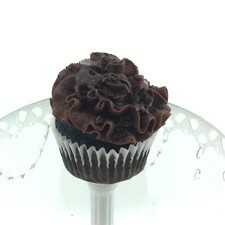 Chocolate cupcake topped with our famouse Wippy Dip icing and rolled in chocolate cookie crumbles. Topped with a dollop of wippy dip icing and half a chocolate cream cookie. 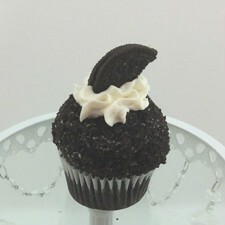 This cupcake is sure to rock your world! It's the Elvis. 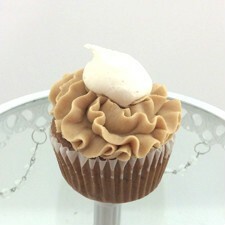 Banana cupcake topped with our signature peanut butter icing and a dollop of wippy dip on top! 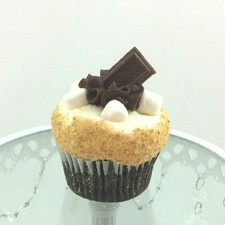 Smores Cupcake! Chocolate cupcake with Wippy Dip icing, rolled in graham cracker crumbs and topped with a dollop of fudge icing, marshmallows and a piece of Hershey's choclate! 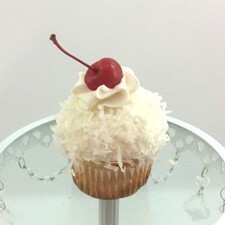 Coconut Cream Cupcake! Coconut cake with creme filling, topped with wippy dip and rolled in coconut. Hugs and Kisses! 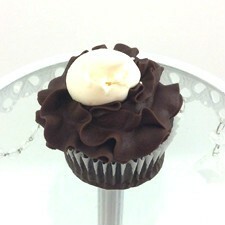 Chocolate or Vanilla cupcake topped with both Wippy Dip Classic AND Chocolate fudge icing and topped with a kiss. 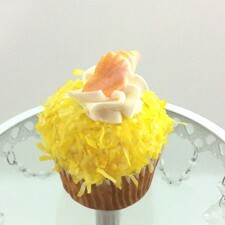 Pina Colada cupcake! Pineapple cupcake topped with wippy dip and rolled in coconut. 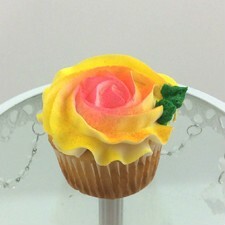 Our beautiful rose cupcake. Vanilla cupcake with strawberry cream filling. Topped with a beautiful piped rose who's colors change depepnding on the season. 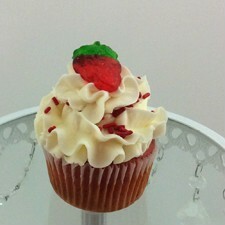 Strawberry Cupcake with wippy dip icing, red jimmies and a gummy strawberry on top!